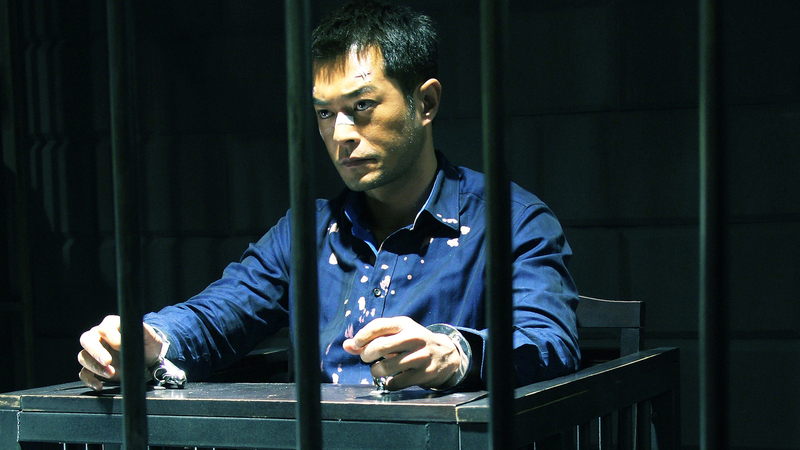 When it is discovered that Timmy Choi (Louis Koo) has been manufacturing meth, he's sentenced to death and put in the custody of Capt. Zhang. His only shot at redemption? Helping Zhang shut down his cartel. Hong Kong action-crime maestro Johnnie To makes films about good and evil, but he's not in the habit of neatly distinguishing the two. So he might seem at a disadvantage in mainland China, where the censors don't tolerate moral ambiguity. With the canny Drug War, however, the director proves himself entirely up to the challenge. To's first action movie to be shot on the mainland, Drug War is clearly an animal different from his Hong Kong pictures. The open highways and high-speed trains of infrastructure-happy China replace the crowded streets of the director's claustrophobic hometown, and the story's apparent hero is a police captain without the quirks and complications of To's usual cops. But a scriptwriting team that includes co-producer and longtime collaborator Wai Ka-Fai takes the story in satisfyingly unexpected directions. The opening set piece involves several vehicles: a careening car, a weaving truck and a bus full of anxious downscale travelers. The passengers are drug mules, with balloons full of contraband in their digestive tracts. The truck is carrying the raw materials to make methamphetamine, and is erratically piloted by two guys who've been sampling the wares. The car, meanwhile, is under the control, just barely, of Timmy Choi (Louis Koo), a Hong Kong hood fleeing a meth lab that just exploded. The blast left him both woozy and singed, and three others dead. Led by the coolly efficient Capt. Zhang (China's Sun Honglei), the police capture the couriers and Choi. Big-time drug peddling draws an automatic death penalty in China, so Choi offers a deal: In exchange for his freedom, he'll introduce Zhang to some of the region's biggest dealers in meth, cocaine and heroin. The movie's next hour is devoted to these meetings, without any action sequences, though one amusing surprise is that the phlegmatic Zhang turns out to be a natural actor and mimic, capable of posing as the various dealers he meets through Choi. The director revels in the backstage aspect of the operation, as the cops (including Crystal Huang as a pretty young officer who poses as Zhang's moll) execute quick costume changes and snap into character. All the negotiations, and every move Choi makes, are conducted under police video surveillance. This allows the filmmaker to shift among various vantage points, and to emphasize duplicity and gamesmanship. It also leads to striking images, as when Choi goes to meet some drug associates who speak sign language. (It's Drug War's fourth language, if you count the occasional bits of English as its third.) While they burn money in a traditional Chinese ritual in memory of the meth-lab victims, a policewoman distributes expense cash. Both activities — the criminals' sacred and the cops' profane — are captured in the same frame. The movie is punctuated by two more shootouts, and the final one is both doggedly naturalistic and utterly diabolical. Advantage repeatedly shifts between the dealers — many of them played by To's HK regulars — and the police, while innocent bystanders go running. Upping the stakes, most of the innocents are kids from an adjacent elementary school. Evil cannot triumph in a movie made in China, but Drug War's ultimate scene nonetheless manages to astonish, revealing both Choi's character and the nature of mainland justice. Rather than dodging the harshness of Chinese authority, To depicts it implacably. He does exactly what the censors want, and yet subverts their worldview.